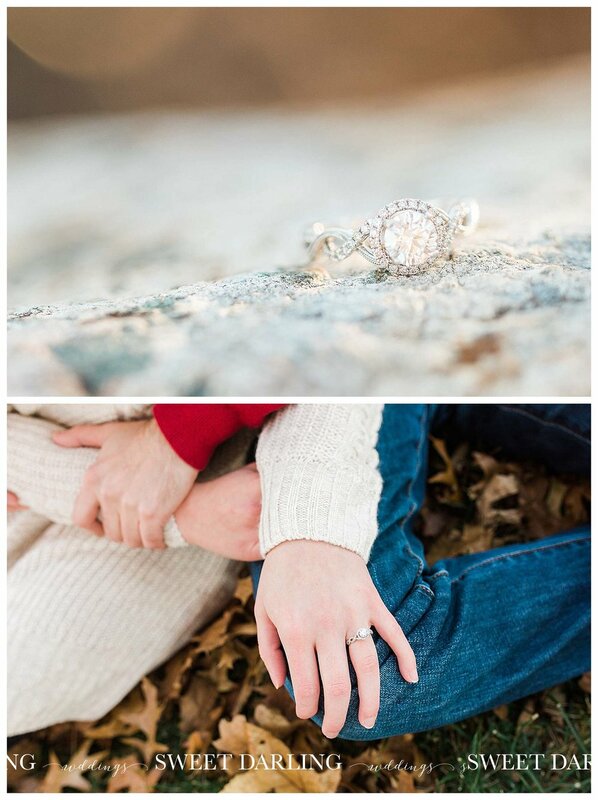 Katie and Dan's love story began at the Noyes Lab on the University of Illinois UIUC campus and Dan proposed to Katie at the Arboretum in Urbana so it only made sense that we visit those places to take their engagement pictures. It was a typical late fall day in central Illinois with a chill in the air that only encouraged more cozying up which definitely worked in our favor. ;-) After meeting with Katie and Dan at their initial consult, we knew they were gonna be fun to photograph. We love capturing emotion, love, and connection. Watching the two of them interact, steal glances at each other and share subtle displays of affection, we know these two share a love that will stand the test of time. We can't wait for their wedding day at Pear Tree Estate! The pictures above were taken at Noyes Lab on the U of I campus. Of course we had to get a few pics on the steps outside of the building where their relationship began. Foellinger auditorium is another beautiful building we enjoy when we are shooting on the UI campus. The promenade on the north side of the building provided a great location that added visual interest in the columns, beautiful light and captures Noyes Lab in the background. After we left the quad, we ventured over to the Arboretum. The outfits they changed into when we arrived worked beautifully with the fall colors that surrounded them. Ahhh, that light. There is no better backdrop than the soft warm glow of the setting sun. And the fact that these photos were not taken at just 'any ole place' but at the same location where she said, "I do' during a picnic Dan prepared made it all the more special. We pray Katie and Dan will look back on these images for years to come and have so many amazing memories come flooding back to them. Can't wait to spend the day with you this fall to capture many more moments on your wedding day!